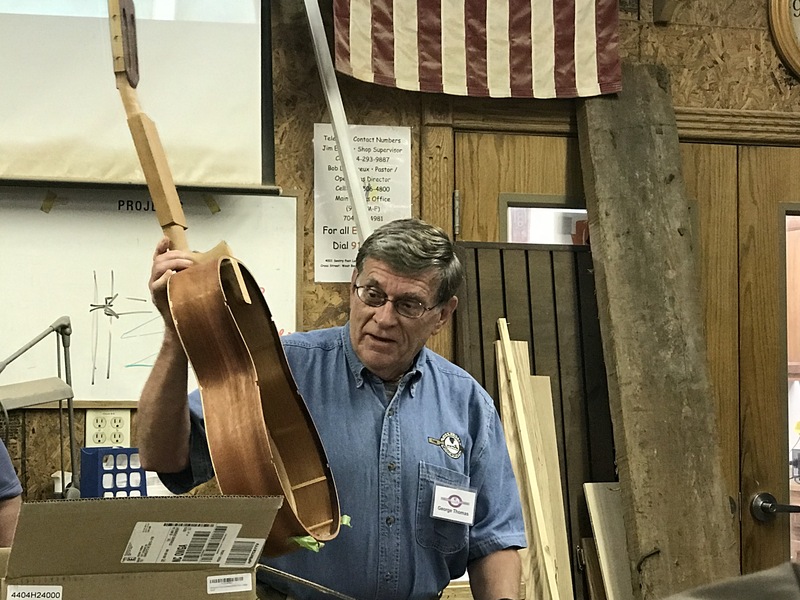 This guitar, made by George Thomas, is made of padauk, mahogany, spanish cedar and has a carbon fiber rod to support the neck. 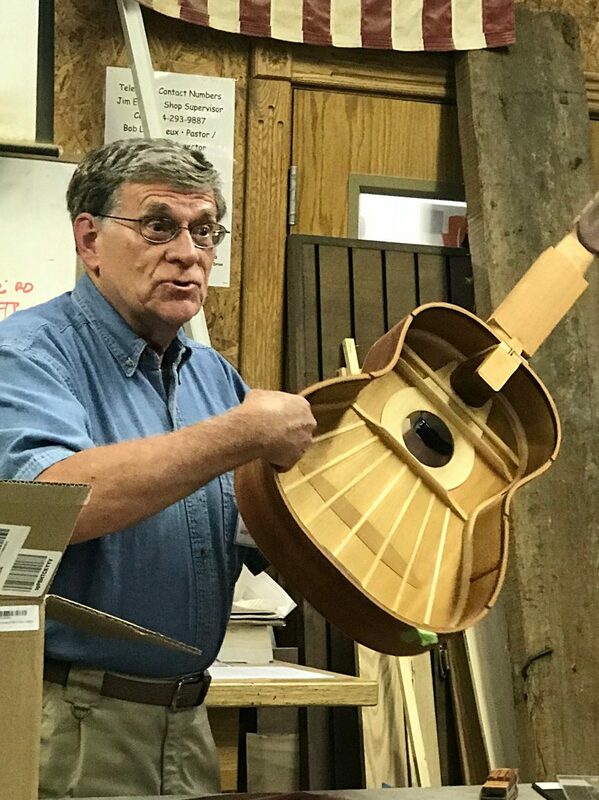 Since he will have finished and given this guitar away before the next meeting he decided to show it in progress. George, having made a large number of guitars frequency tunes his guitars. Typically he tunes to 200 hz for the basic top with the sound bars installed. Rather than making, he will normally buy the fretboard already cut for the frets.